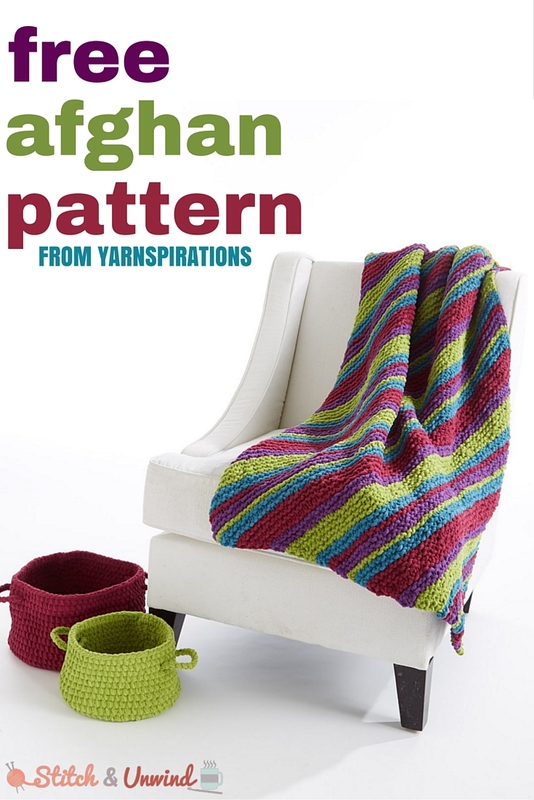 Today’s free pattern is a bold and beautiful afghan pattern from our friends at Yarnspirations. 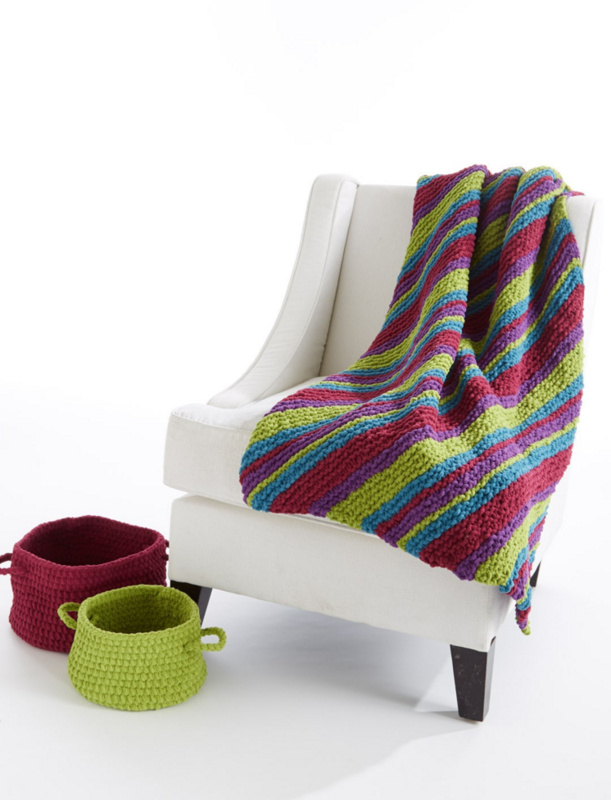 This afghan is the perfect project to work up this time of year – the cozy, chunky yarn says “winter,” but the bright colors say “spring!” Let yourself get carried away with this colorful knitting pattern – it’s quick enough to finish in a weekend. Have fun, and we’ll see you back again on Monday with more fun blog posts! 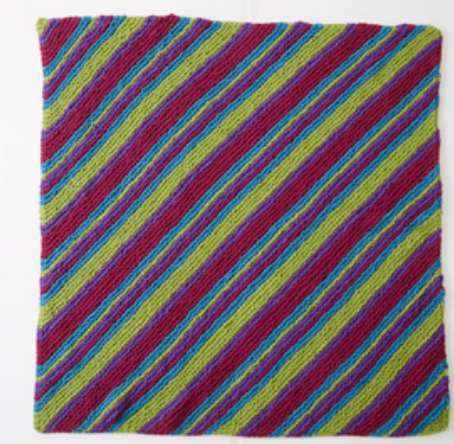 Free Pattern Friday: Sugarplum Cables Afghan from Yarnspirations! Size U.S. 11 (8 mm) circular knitting needle 40” [101.5 cm] long or size needed to obtain gauge. Approx 60” [152.5 cm] square. 8½ sts and 16 rows = 4” [10 cm] in garter st.
M1 = Make 1 stitch by picking up horizontal loop lying before next stitch and knitting into back of loop. These 36 rows form Stripe Pat. 1st row: Kfb. K1. 3 sts. 2nd row: (RS). K1. (M1. K1) twice. 5 sts. 4th row: K1. M1. Knit to last st. M1. K1. First 4 rows of Stripe Pat are complete. Rep 4th and 5th rows until work along straight side edge measures 60” [152.5 cm], ending on a 5th row. Next row: (RS). K1. ssk. Knit to last 3 sts. Rep last 2 rows until 3 sts rem. What colors would you use for this afghan?